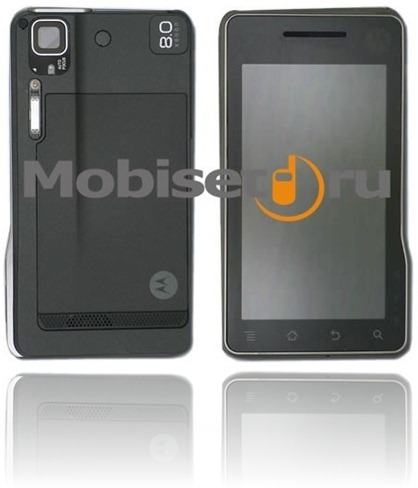 A Russian site by the name of Mobiset.ru has managed to grab, what looks like first clear photographs of the upcoming sequel to the popular Motorola Droid phone, called Sholes Tabled. Sholes Tablet, which is also sometimes knows as the Droid 2.0 will be the flagship device of Motorola in the year 2010 and it is most likely to ship with Android 2.1 in the first half of 2010. This device, unlike the Droid phone, has HD playback capabilities though a HDMI port, and it can output and record HD 720p videos with its 8 megapixels camera. It also has 3.7 inches 840×485 WVGA capacitive multitouch display with no physical keyboard onboard. That looks very nice, but how many costs this ophone? I'd trade the new features for the physical keyboard without hesitation. Never use the one on my Droid. Eagar to know its features and specifications. And price tag too, especially in India.